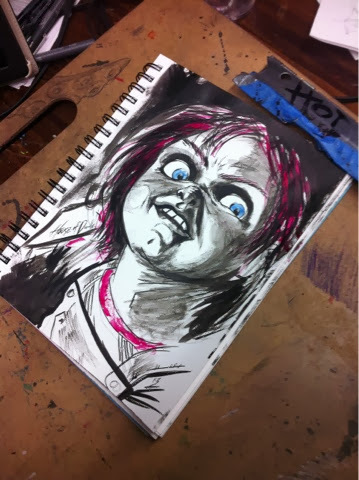 Of #inktober went with Chucky from child's play b/c was damn good marketing on someone's part back in the day. And as a wee HoDster in the prime marketable age for the My Buddy and Kid Sister dolls this felt a bit like emersion therapy. Well for me it's about all the Baddest of the Bad! All the villains you love to hate and the super creeper psychos from my childhood. So this October I'm rollin' with the #inktober challenge of posting an all inked something or other a day for the whole month of October. No pencil, no photoshop, no illustrator, no what ever it is that's popular at the moment. And since inking has always been a favorite of mine, I'm sticking to my roots on this using only ink an brush (with a little white pen thrown in here and there). And for my special HoD added twist, I'm going to be inking all those things that freaked me out as kid and ironically shaped this mind of mine. So here we go! 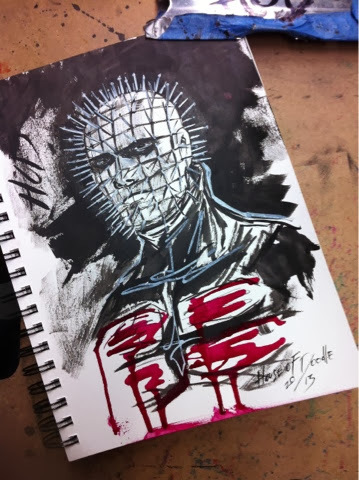 Post for days 1 & 2 - Pinhead and Hannibal. 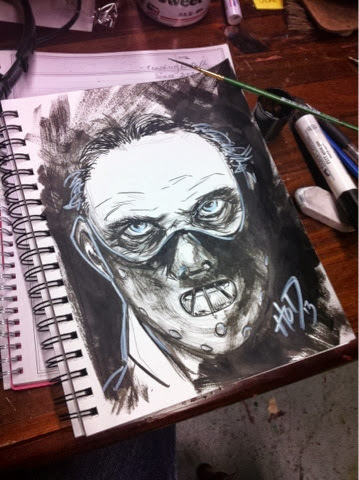 HoD Note: each piece is done in my 7"x10" mixed media Canson XL sketch book with a time limit of 15-20 min per. Oooh I'm already looking forward for the next!